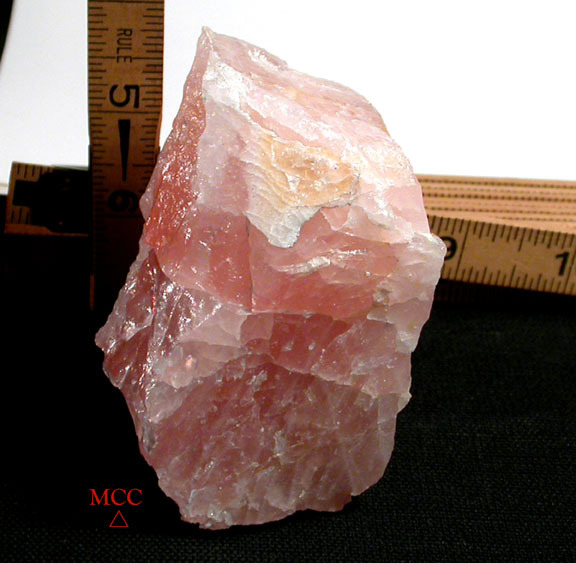 Just over a pound: this fine gem grade, succulently pink to paler pink South Dakota rose quartz rough has great potential for cabachon making in your shop, or as prime display material if you can't bear to cut it. Love-ly tiny bright rainbows, a slight milk quartz stripe, areas of self-healing. 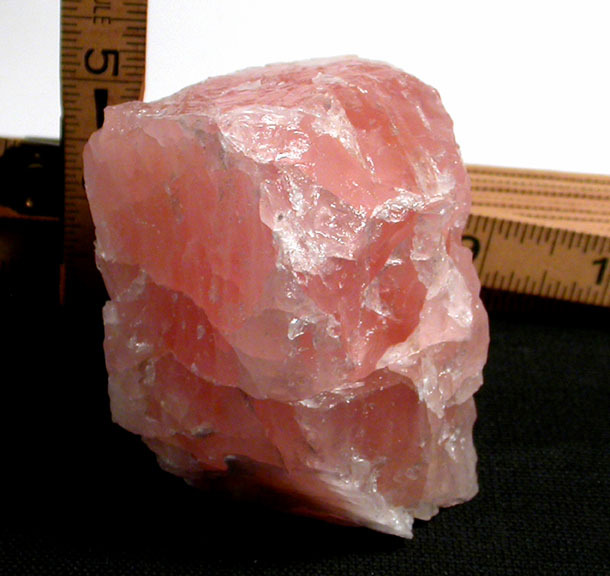 An overall size of 2-1/2x 2-1/2x 2-7/8", it's delightful in the hand, and it self-displays in several ways - away from sun and fluorescent light though, to preserve its' natural rosiness.